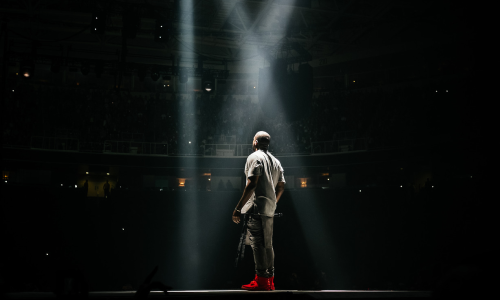 Taking a look back at this month, the most remarkable and unexpected release in the sneaker world was the release of the Nike Air Yeezy 2 Red October. While Kanye West consistently ranted on his stops on his Yeezus Tour about how he needed a fashion deal with a large corporation, and calling out Nike CEO Mark Parker out in the process, the shoe was a limbo about whether or not it would be released at all for the past year. When Kanye West announced that he inked a deal with adidas Y-3, the questions arose once more for the much-anticipated sneaker. Then on February 9th, 2014, Nike’s (@Nike) Twitter account randomly announced that the sneakers were on sale. This caused a stir amongst sneakerheads globally because the shoe was sold out in a matter of 11 minutes. However, looking back at how high the anticipation was for the shoe and the magnifying glass on it — the decision to make it fair and drop it randomly was probably the smartest move at that point. It’s no secret that the shoe is special and amongst one of the more coveted shoes in the world. And now, they’re out in the wild. What do you think about the way the Red Octobers were released? Let us know in the comments below. Print article This entry was posted by hhcblog on March 1, 2014 at 2:40 am, and is filed under Footwear. Follow any responses to this post through RSS 2.0. You can leave a response or trackback from your own site.